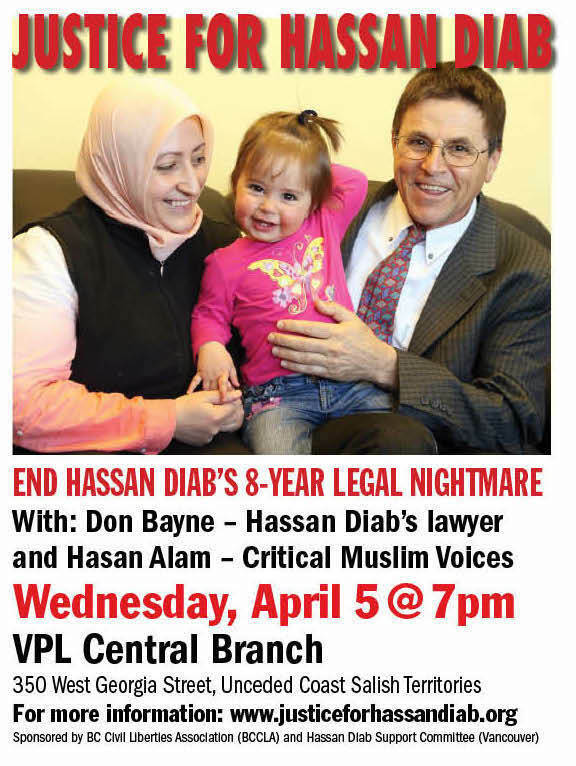 Comments Off on SFSC Event April 5: Why is Canadian professor Hassan Diab still held in French jail? What can we do? URGENT – The Lancet is under attack: Your support is needed! Posted on April 17, 2015 by Seriously Free Speech Committee| Comments Off on URGENT – The Lancet is under attack: Your support is needed! As you probably know, the attacks against the editor of The Lancet, Dr. Richard Horton and also against The Lancet, have continued unabated since July 2014. And at this stage, it is becoming necessary to go public with a response to the latest complaint to Reed Elsevier (publishers-owners of The Lancet) which summarizes the issue beginning July, in defense of Richard and the Manduca letter publication in the Lancet during the onslaught on the Gaza Strip in the summer of 2014 (“An open letter for the people of Gaza”), and asserting the importance of not stifling medical journal editors and debates. Comments Off on URGENT – The Lancet is under attack: Your support is needed! At over 60 pages, Bill C-51 — the Anti-Terrorism Act — is a heavy read. The bill proposes a myriad of radical changes to Canadian law and to Canada’s national security apparatus, many of which seriously jeopardize the rights and freedoms of Canadians while promising little improvement to public safety. Canada’s privacy commissioner, ex-CSIS officials, former prime ministers and international whistleblower Edward Snowden have all raised alarm about the bill’s impacts on Canadians’ freedom and privacy. Lawyers at the B.C. Civil Liberties Association have gone over the bill paragraph by paragraph, and we’ve outlined the parts of this document that concern us most. When you think of being secure, you likely think of being safe from physical danger. But Bill C-51 defines security as not only safeguarding public safety, but also preventing interference with various aspects of public life or “the economic or financial stability of Canada.” With this definition, a separatist demonstration in Quebec that fails to get a proper permit, a peaceful logging blockade by First Nations, or environmentalists obstructing a pipeline route could all be seen as threats to national security. Leaders see the invasion of another country as an easy short-term policy. Canadians don’t seem to understand the political manipulation underway. The book has been described as “meditation on the historical recurrence of governments pursuing policies evidently contrary to their own interests.” As Western powers stumble around the battlefields of the Middle East and Central Asia, there is overwhelming evidence supporting the conclusion that today’s policies are contrary to their own interests.